Welcome to The Trail To Health! My name is Erika Schlick and I am here to be your trail guide on the unpaved trail to healing. I healed from Lyme Disease, Multiple Autoimmune Diseases and a myriad of other conditions from food allergies, toxic mold, detoxing from heavy metals, leaky gut and more. I have chosen the unpaved path for my healing journey and am hoping to help and inspire anyone else out there that is willing to step off the main trail and really explore different ways to heal and recover. Before I got sick, I was “normal”. Actually I was pushing myself to be as superhuman as possible. I got my undergrad in Architecture and Graphic Design and went on to get my Masters in Architecture. I became a Licensed Architect and started my own design agency in San Francisco, CA. I used to do yoga everyday and loved traveling the world. I had lots of friends and was always out socializing and doing things. My energy had no end. Then I got bitten by a tick on my 3rd time camping ever in my life and got Lyme Disease. My whole world was turned upside down and I have never been the same since. A lot friends never saw the most difficult phase of symptoms. For months I was too exhausted to get out of bed. I could not go out, I did not have the energy to socialize. I did not have the energy to even shower. I lived in a loft and there were a few times my boyfriend had to carry me up the stairs because it was too painful and exhausting to climb them on my own. Other days lights and sounds were so intense, all I could do was hide with a pillow over my head and noise canceling headphones to try and block the world out. I could not even watch Netflix because everything was so overwhelming due to Lyme. It took 2 years for doctors to properly diagnose me with Lyme and for those 2 years I was rapidly decaying before my doctors eyes. I have come a very long way thanks to my treatments, especially stem cells and am able to live a symptom free life. With my healing journey, comes a tremendous amount of new found knowledge about health and healing. 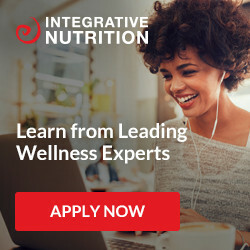 In addition to my personal knowledge, I graduated from the Institute For Integrative Nutrition (IIN) as a Certified Health Coach. These two things combined will enable me to really help people on their healing path. Please check out some of the conditions and healing modalities I have experienced. I can provide information on what I learned on my trail to wellness. I also explored several alternative healing modalities that have been very helpful in my healing, especially stem cells. There are plenty of ways to heal from chronic illness and I encourage you to not be afraid by how “out there” or “unconventional” a treatment is. You never know what will really resonate with your body and work. Being open to various treatments and modalities can make the journey a bit more fun and interesting along the way too. There is light at the end of the tunnel and we will all get there. It is just a windy unpaved path we have to take. Want To Receive Exclusive Updates? Sign Up Now! Sign up with your email address to receive exclusive news, health tips and updates.